But now, I think I’ve pulled that back. 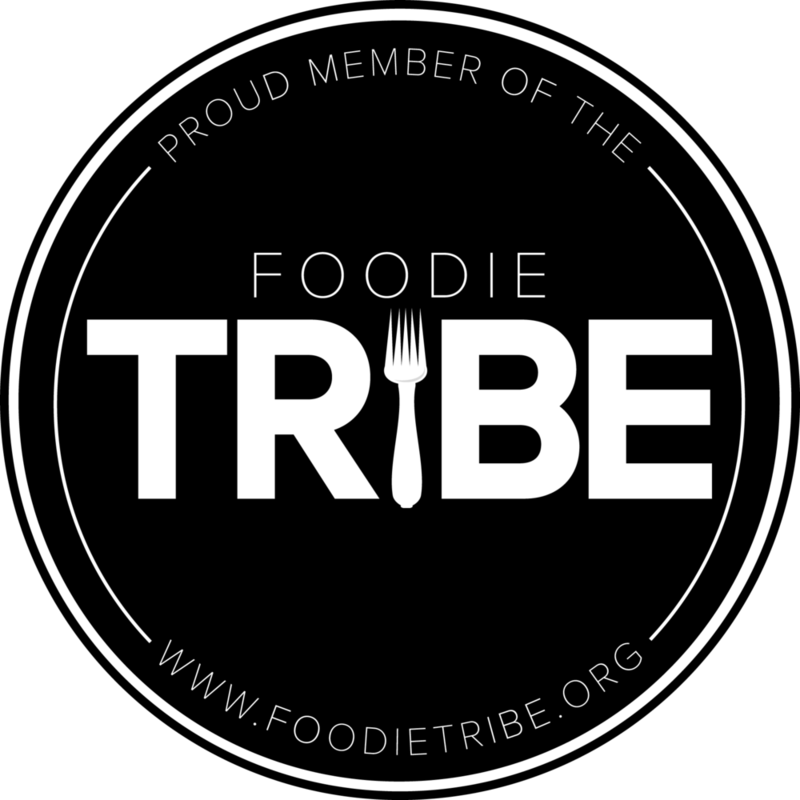 There are food discussions to be had and I’m in the process of re-thinking how I should approach this blog, my social media presence and even how I think about food. Is this too much to ask for something that I consider a hobby? Maybe. However, I have found that I’m pretty fond of food but I am also finding out that I’m fond of food not just to eat a good meal but to also have a discussion of what food means to people. I’m interested in knowing who makes the food and why, what food means to particular communities and what it takes to make a vibrant food community. More particularly, I wanted to talk about what food means to me and my upbringing as a Filipino in North America. So, ultimately, I’m finally publishing this as a sort of reset to what I will be posting in the future. Along with my fascination with the mechanics of social media, I want to more clearly focus on the topics above. Is it possible that it’s too big a topic for someone who’s a novice? Sure. Is there a “democratization” of all topic areas going on because of social media? Absolutely. I love that Chef Seng of Thip Khao refers to Laotians as Children of Sticky Rice because it’s so prevalent in their cuisine. In a recent post, she referred to Filipinos are Children of Ube and while that’s not wrong, I would respectfully disagree or more specifically say that Filipino Americans are really Children of Lumpia of Lumpiang. 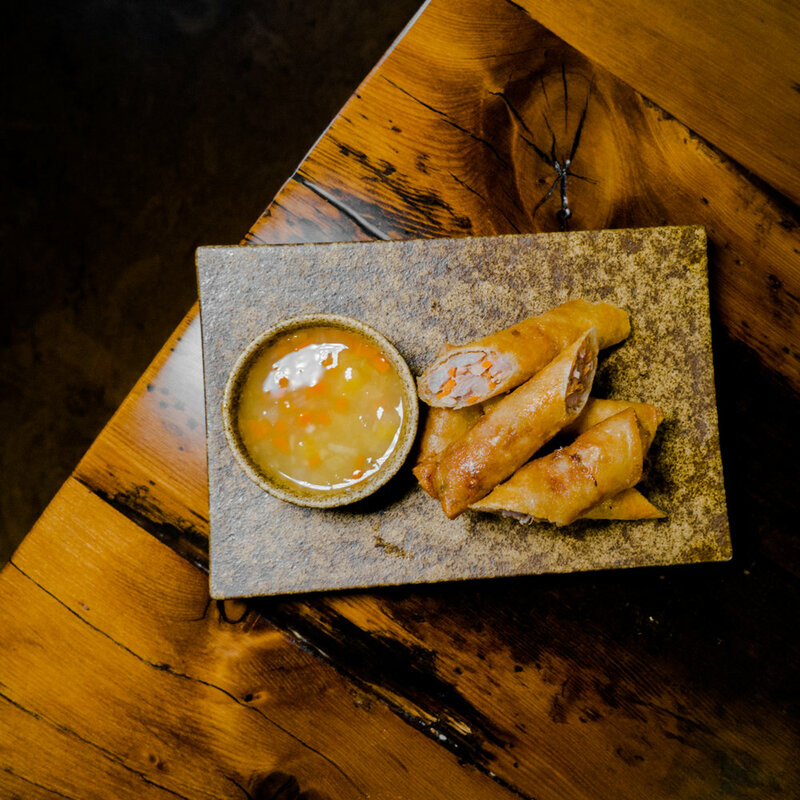 We all know what Lumpiang is right or the most popular kind of Lumpiang, Lumpiang Shanghai? If you don’t, they are small crispy little rolls usually filled with a mixture of pork, beef, sometimes shrimp, garlic, some mirepoix, and maybe egg. Every Filipino family has a different recipe and every family swears on their ancestors that their recipe is the best which is true. Huh? Well, if you grew up eating lumpiang made a certain way and when you try someone else’s, it will never be as good which hardly matters since it’s almost impossible for lumpiang to be bad. We are the Children of Lumpiang because lumpiang was our crossover food. It was the gateway drug to Filipino cuisine for non-Filipinos. If you grew up in the US, it’s what you had your mom make whenever you had a potluck for middle school, an end of the year sports banquet, a random picnic in the summer, pool parties, bachelor parties, funerals & wakes, show & tell, and let’s not forget about your favorite care packages from Mom. So, what’s the big deal? It’s just a delicious mini egg roll right? It is, but it’s also so much more. It was the thing that you COULD bring to potluck dinners, sports banquets, backyard barbecues, you name it, lumpiang was always welcome at all of these events when I was growing up mostly in a non-Filipino world. It was a glimmer of acceptance in a foreign world for an immigrant family like ours and a sign that maybe our culture can fit in somewhere here in North America even if it was something as small as one dish. Yes, it may seem small but little signs like these were allegorical to my parents in reaffirming that they made the right choice when they moved their family from the Philippines. This is even more important as Filipino food becomes more common throughout the area. It’s impossible to not notice the proliferation of Filipino food in the DMV. There has always been a Filipino food presence in the area with stalwarts such as Little Quiapo (closed but thrived for 25 years), Bistro 7107 (now Bistro 1521 and a new location), Mama Rosa’s in Middle River, and the various Filipino bodegas in the area that have been more of a take out than a sit down restaurant. These were the Filipino food experiences that I grew up with and for the most part served very similar food that was never quite as good as your mom’s but always hit the spot when mom’s food wasn’t available. But,now, I think the next step in the evolution of Filipino food is happening. Maybe it’s unfair to say that the emergence of Bad Saint started off this new trend, mainly because it doesn’t give proper homage to a place like Purple Patch which was also important in the introduction of Filipino food to the area. But, in my mind, Bad Saint did start it all in 2015. Beyond all the accolades and the recognition from national press, Bad Saint offered a pure restaurant experience in a stylish and hip way. Yes, there was a Filipino wave already hitting the country at the time and Bad Saint didn’t invent the concept but rather it felt like it opened the doors for new possibilities. 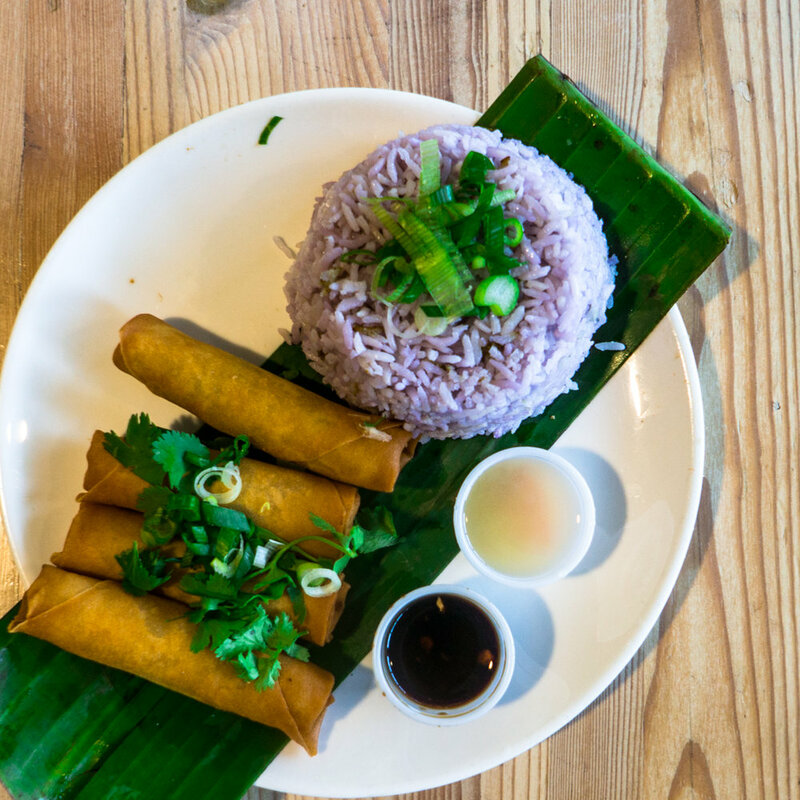 In the past several months, I’ve had the opportunity to dine at three relatively new Filipino food concepts that I think has moved Filipino cuisine to the mainstream. That’s not to say they’ve found a magic formula like Americanized Chinese food take out. But, I do think it’s become part of America’s culinary mosaic and has moved beyond the bodega and has even moved past being that “exotic” ethnic place that the general public may only venture to every once and while. What I’m saying is that Filipino food is finding a way to weave its own American story now where it’s an accepted part of that patchwork of food that’s both Asian and American. The three concepts/restaurants I’ve had the pleasure of trying are Kaliwa, Kuya Ja, and Calasag Pop Up. Kaliwa is a gorgeous, spacious and stylish full service restaurant located on The Wharf, DC’s hottest and newest restaurant mecca. Kuya Ja is in a strip mall in Rockville and this fast casual joint has a ton of good variety but specializes in Cebuano Lechon which is basically pork belly wrapped tight and served with crispy skin. Calasag is a pop up concept from some Filipino creatives based in Baltimore that offers some modern and trendy takes on Filipino food. The approaches from each restaurant are incredibly varied. Kaliwa is headed by Cathal Armstrong who has travelled extensively in SE Asia but is Irish by descent. His wife Meshelle is Filipina and his sous Chef Paolo is also Filipino but the interpretations of the cuisine solely rests with Chef Cathal. Chef Javier from Kuya Ja is from Cebu and celebrates traditionally cooked Filipino food (especially that Cebuan lechon belly). The crew from Calasag, at least the ones that are Filipino, are 1st generation Americans whose cuisine reflects a reverence for traditional Filipino but with a riff off of their Asian American experiences. You can see their different approaches just by the way they make lumpiang. 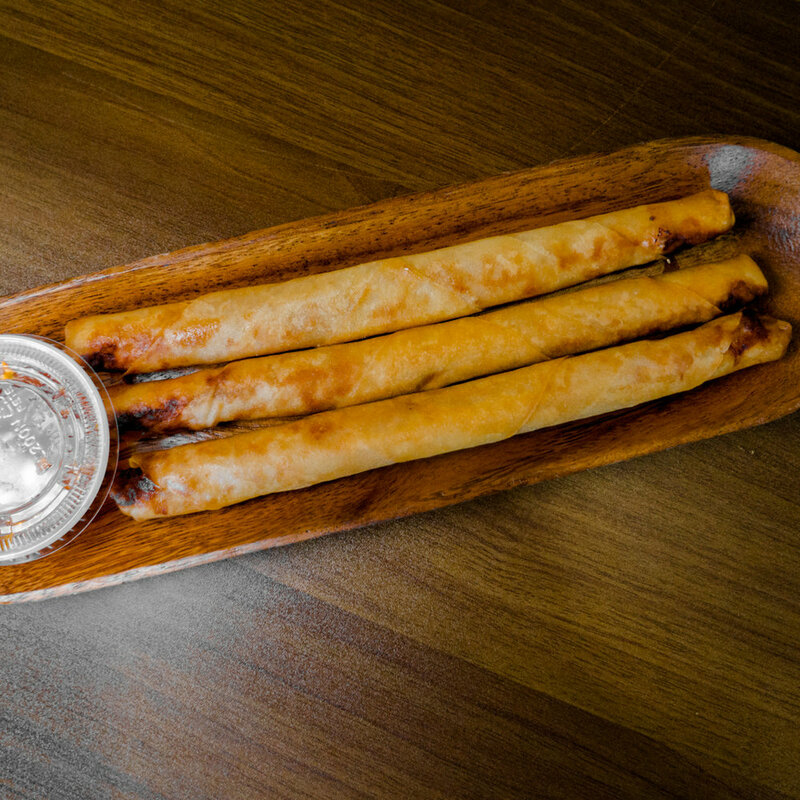 Kuya Ja is by far the most traditional serving long pieces of lumpiang in the way you’ve probably seen the most. They have a bit of a change up with their homemade banana ketchup but besides that it’s a pretty classic mixture. Kaliwa stays true to the look and feel of lumpiang but always has a unique twist or touch from Chef Cathal personal experiences or travels. His story is his family’s story which isn’t just Filipino because of his wife but it’s Filipino-Irish so the food reflects that.with what I can best describe as a lumpiang that trends slightly towards more of a meat pie than the classic recipe. Calasag strayed the furthest only because they wanted to be inclusive of all diets and came up with a vegan lumpiang. Unfortunately, I can’t quite remember what they included in it but it was a good first effort in trying to replicate a dish whose signature flavors are based on pork, beef and shrimp. Their different perspectives is something I thought I’d never see since lumpiang is almost sacrosanct and you may make it a little differently by adding or subtracting proteins, all the versions have also been in the same ballpark. It’s heartwarming and amazing to me that people are now comfortable enough to make variations of Filipino food but yet are still comfortable enough to know that it will undeniably still be lumpiang. It’s like our gateway has become a foothold on American culture. I recently read an article of the effects of the colonial mentality on Filipinos living the United States. The article argues that “for Filipinos, this involves an automatic and uncritical rejection of anything Filipino and an automatic and uncritical preference for anything American or white.” I’m not an expert on such things but logically this makes sense considering how many years the Philippines was occupied by the United States. I do think, however, there is a flip side to this logic in that Filipinos living here are striving to find a place for their culture in the United States. One way to express that is through food. In my mind, the only way to do this is through compromise and inclusion. This doesn’t mean we should forgot or even dilute our traditions but the United States, after all, isn’t the Philippines so there is some level of differentiation and compromise that is bound to happen. Filipinos are also still a minority not just in general but also in the Asian community. In order to share our traditions and our food, we need to ensure there are more communities that enjoy our culture. Yes, this is commonsensical but there is also a discussion across various communities and cuisine about who is and who isn’t supposed to present food from different cultures. I don’t have an answer as to who should determine any of that but I do know that I’d rather that more people experience Filipino food (even if made by Filipino adjacent communities) than place limitations on its proliferation because, ultimately, the food still has to be good, it still has to have an anchor in tradition, and it has to be respectful to the community. If it isn’t these things then that’s when we all should speak out. So going forward, in terms of my exploration of food, I think I am most interested in seeing how food from other cultures establish a foothold and eventually become part of Americana. It interests me because as an immigrant, the journey is similar since I’ve had to grow up in country that wasn’t my own and amongst people who don’t look like me. By no means am I implying that it was a struggle. Sure, there were instances of racism and the ugliness that seems to be growing daily here. But, it’s more of an exploration of how to establish a place in this society. In terms of food, it’s a discussion of diversity of the culinary landscape and how to celebrate and expand upon all the cultural influences you can find across the United States. The discussion won’t always be cheerful or fruitful but it sure will be fun.